The Insta360 EVO is the latest in an ever growing lineup of Insta360 cameras but is the first to shoot VR180 and 360 content. The EVO is designed to switch between 180 and 360 mode with a rotatable body, it shoots 5.7K resolution video in both modes as well as 3D video in the 180 mode. I’ve been using the EVO for a few weeks now and I feel like I’ve gotten to know it quite well. It’s by no means perfect but it’s arguable the best VR 180 camera available right now (unless you want to spend a few thousand that is). Let’s take a closer look at the EVO and what it can do. For anyone who wants to start shooting 3D 180 video, the EVO is the camera to beat! Exposure Modes Auto, Manual(Shutter 1/4000s-55s, ISO 100-3200), Shutter Priority(1/4000s-1/4s, photos only), ISO Priority(100-3200, photos only). What makes the EVO stand out is its ability to shoot both 3D 180 and 360 video. There are a few other cameras that can do this, and only one other that can match the 5.7K resolution. What puts the EVO ahead is Insta360’s stabilization technology which keeps moving video looking super smooth without the need for and special equipment. Insta360 have also worked hard on their software, both in camera, on the phone app and desktop software, which opens up a whole host of features not found in any of its competitors. You should only consider getting the EVO if you are interested in the VR 180 format for shooting 3D 180 video. While the EVO can also shoot fully immersive 360 video there are plenty of other cameras that are specifically designed to do that, whereas the EVO is designed mostly with 180 video in mind. Here’s some examples of 3D 180 video shot with the EVO. This is best viewed on a VR headset where you’ll see the 3D effect, or you can use some 3D glasses if you have them. The sharpness of the video is impressive and there’s little blurriness. One of the good things about 180 video is that the pixels are more condensed, therefore producing video that looking close to HD. I’ve fiewed this video and others shot with the EVO on a VR headset (which is really how its supposed to be seen) and the 3D effect really does work well if you shoot your video properly. I dislike 3D movies in the cinema and even IMAX is uncomfortable for me, but viewing EVO video back on my Oculus GO was a great experience. You have to be careful to keep the camera level when filming, and not get too close to any objects, or the resulting video will be uncomfortable to watch (think seeing double when you are too drunk). You can shoot video in LOG mode as well as HDR to get the absolute most out of your camera. I find shooting in LOG mode really helps with color correcting later and is the best way to make your EVO video look as good as possible. 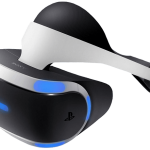 There’s also variable frame rates available, from 4K at 50fps to 3K at 100fps. When shooting in 180 mode these slow motion effects can still look good when viewed on a small screen. When viewed on a VR headset the lower resolution isn’t really worth the slow motion effect. As the EVO uses fairly basic lenses there is a limit to what it can do. 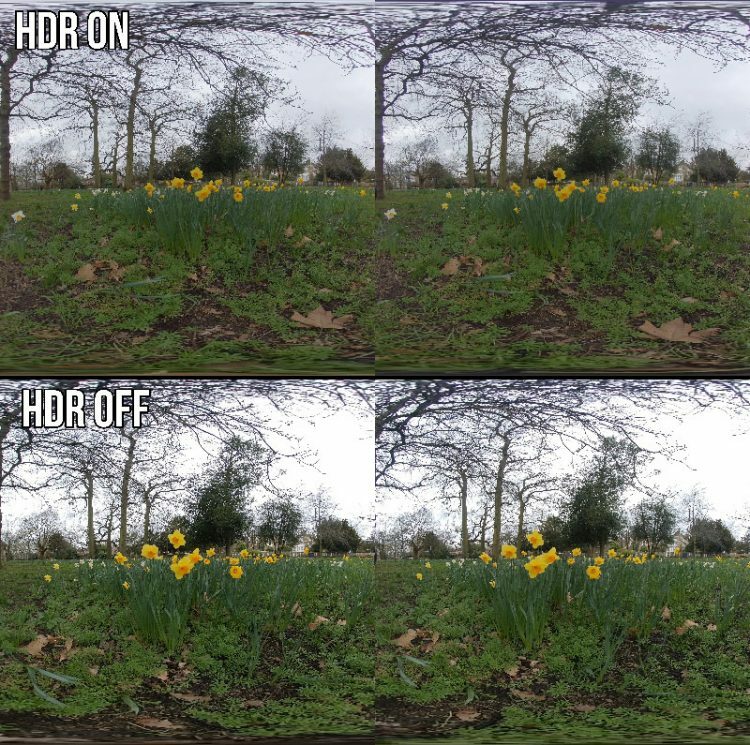 The Dynamic range isn’t amazing and light areas are often blown out, but all in all the video looks good on both a VR headset and on a smaller screen. The EVO can also shoot full 360 video at 5.7K. The video isn’t as sharp in this mode because the same amount of pixels have to cover twice the space, but it’s decent when compared to other 360 video. 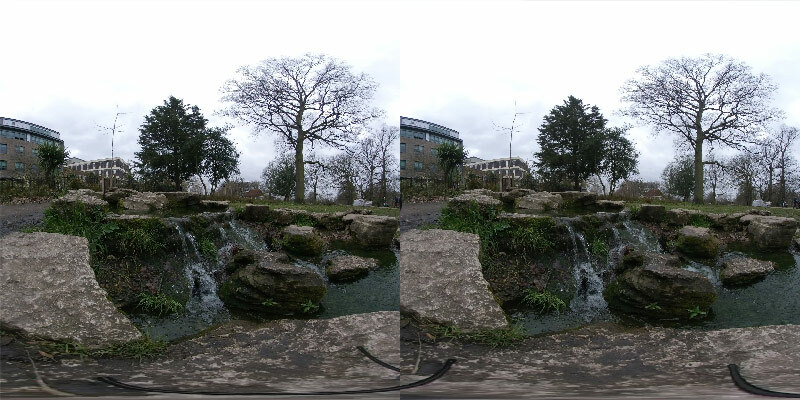 If you’ve seen the Insta360 One X the video quality is basically the same in 360 mode. Shooting the EVO in low light situations or indoors isn’t going to make you happy. Like the Insta360 One X the Evo works best outside during the day, however you can get away with shooting indoors if it’s a well lit envirnment. Don’t even bother shooting at night. The EVO can also shoot both 3D 180 and 360 photos at 18 megapixel resolution. Again I’m mostly going to focus on the 180 aspect as this is the unique selling point of the camera. The photos I shot with the EVO are good but not outstanding. When viewed on a VR headset the 3D effect is less apparent than with video but still works. HDR mode does increase the attractiveness of the photos quite significantly, but even then you wouldn’t get this camera just to take photos. Flowstate stabilization is the software that Insta360 are becoming quite well know for and has fuelled the success of their last few products. Thankfully this technology is fully integrated into the EVO, however when shooting in 180 you still need to be careful. For 3D 180 video to look good you need to keep both lenses level, if you don’t you could produce some nauseating video. So while you can walk and even run with your EVO you can’t move it as much as an action camera. When shooting in 360 mode all bets are off and you can turn it upside down and the stabilisation will fix everything. Insta360 had to come up with a design that allows the camera to switch from a 360 camera to a 180 camera. They ended up with a camera comprised of two boxes that join together with some locks. All in all its not the most intuitive design and the built quality doesn’t fill me with confidence. The buttons and shutters that lock the lenses into place are sometimes infuriating to work with and they feel like they could snap if more that a little pressure were applied. The EVO has no screen and only two buttons, one for power/shutter and another to change between video and photo mode. I personally dislike devices that force you to use an app for every control as I’ve had too many experience where the WiFi doesn’t connect and I’m left with a useless camera. Design is definitely a weak point for this camera, but not a deal-breaker. If design is a weak point, the software is a strong point. Insta360 have realised long ago that good hardware is useless without good software to back it up. The Insta360 EVO app allows you to control almost every aspect of the camera, from ISO, shutter speed and frame rate. The software is stable and connects to the camera seamlessly and I haven’t experienced a crash yet. Insta360 have also developed a dedicated app for Oculus Go and Gear VR which allows you to connect your EVO and instantly view your footage in VR. This is a quick way to see if you’ve achieved the 3D effect you were looking for without having to transfer any files. 3D hasn’t become as popular as many expected partly because it requires you to wear those annyoing glasses, or position yourself in a very particular spot in front of a screen. Using a VR headset to view your EVO video is the best way to view it, but Insta360 has also developed an ingenious accessory that lets you view it on your phone too. The Holoframe phone case works with the EVO app to display 3D footage without the need for glasses, just place the Holoframe over the screen of your phone and play back your EVO footage. 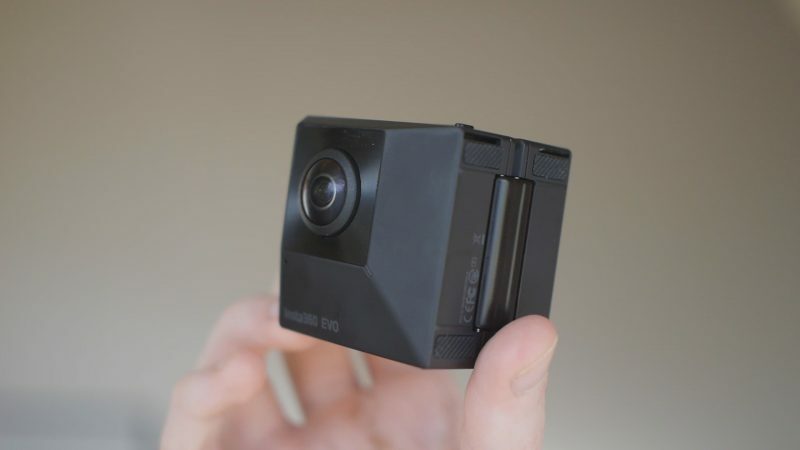 360 cameras are a niche product and VR 180 cameras even more so, having said that there is a growing community looking to shoot VR 180 video for the 3D effect. It really does work well when viewed on a VR headset. Headset users are going to be your primary audience when you shoot video with the EVO and as the number of VR users grows so will your potential audience. The EVO is a great way to start shooting VR 180. The video quality is decent, the software works well and the end result is a near IMAX 3D experience. You’ll have to learn how to shoot 3D 180 video properly, but once you do the EVO should be an easy to use companion for capturing memories in 3D. The EVO is available from the Insta360 website for $419. Considering this is pretty much two cameras in one, that’s not an unreasonable price in my opinion. You can also get the EVO on Amazon, however if you buy from the Insta360 website you’ll also get a free selfie stick (if you use the button below). Ricoh Theta Z1 vs Ricoh Theta V: What’s The Difference? Very helpful review, thanks! I know you plan on doing a direct comparison of this camera and the vuze xr, but a quick heads up.. which one shall I get?? Judging by the points score alone, you rate the vuze higher, but that was before the evo came out! Any advice appreciated, thanks.